I picked up The Battle Plan Prayer Journal prior to seeing War Room I really didn't even realize it was part of the lessons from the movie. 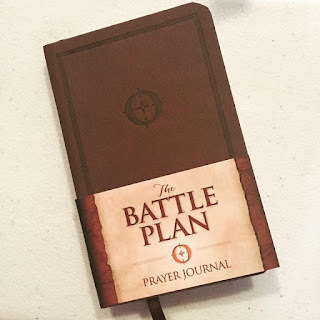 I really just loved the idea of having a Prayer Journal and loved the Battle Plan title. After I saw War Room (which was excellent by the way! ), I could connect even more with the need for prayer. I have lately been taking down prayer requests in a notebook, but really desired to have one to carry with me all of the time in case I heard of prayer needs, or if the Lord brought some time to me to go over some that I had written down. 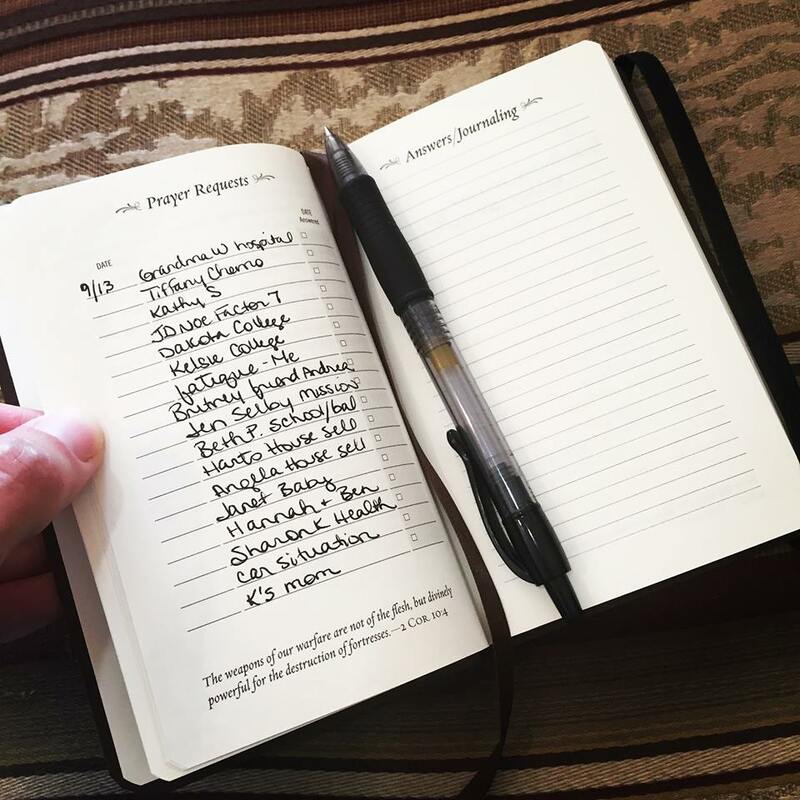 The Battle Plan Prayer Journal is the perfect size for your purse, or Bible bag. It is small, so you can't go into great depth of the person's needs. I still have a notebook at home to write down details and such, but the pocket size one is perfect for memory recollection. There is room to write your prayer requests including a date you wrote it and a date it was answered. You can see above I have room for a name and maybe one or two other words for a memory jogger. There is a Journaling page right next to it if you need additional room for prayer requests to add more information. The book includes scriptures on prayer at the bottom of the prayer request pages and gives you some blank pages to write out your own special scriptures to focus on when praying. There is also a "Heart list" to pray for those who are unsaved, and how to pray for them. There is a page for each day of the week to pray for specific things on each day.. For instance praying for your Pastor and church on Sunday. One thing I really like is there is a couple pages devoted to specific styles of prayer. Much more than just a notebook to write prayer requests in! It gives you ideas for prayers and provides an excellent and beautiful place to put your thoughts and praises.